Italia Furniture > Cube Plus Pack With Oak Vanity, BTW Unit & Basin (LH). 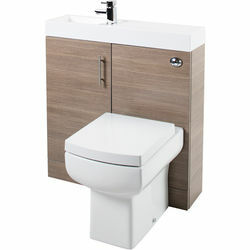 Cube Plus bathroom furniture pack in medium oak finish with vanity unit, btw unit and basin (left handed). 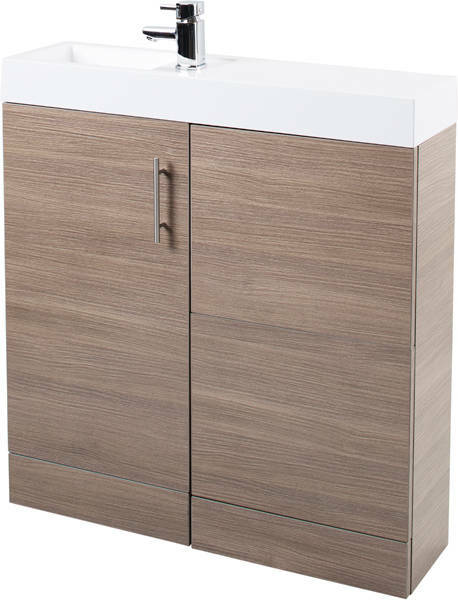 Floor standing with single door. 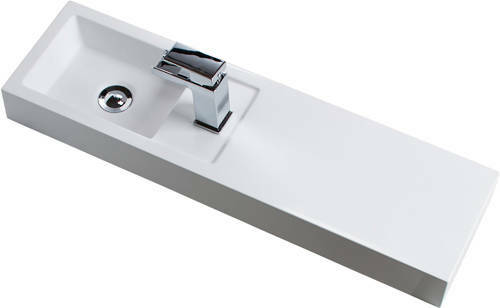 Solid polymarble reversible basin and worktop in one (1 tap hole). Easy access void for cistern maintenance. Finish: Medium oak (textured wood finish). 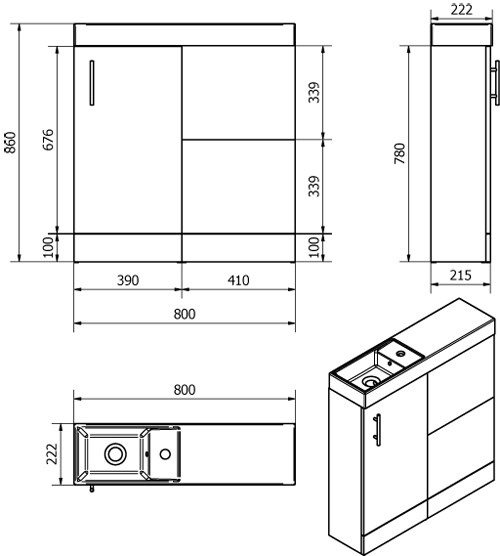 Complete unit size: 800W x 860H x 222D mm. Compatible with FAC002 concealed cisterns (sold separately).